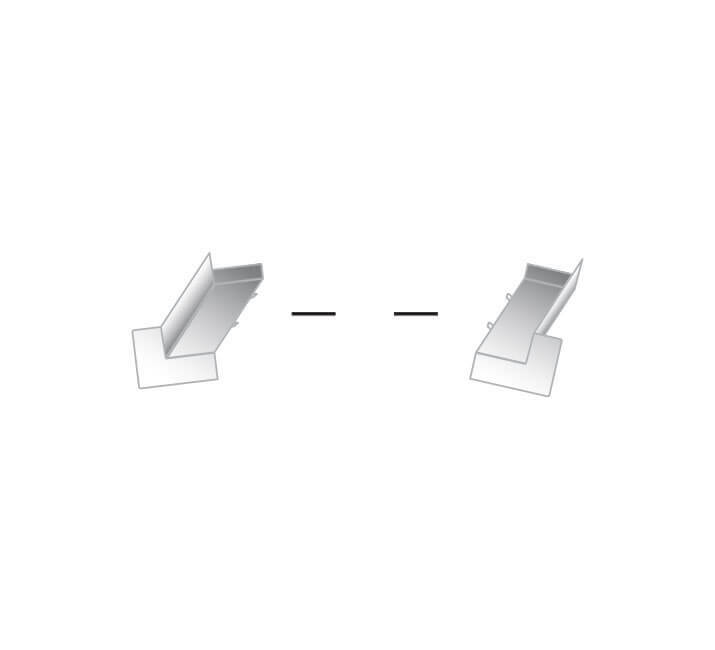 Separate right and left hand ends from each other by pulling apart. 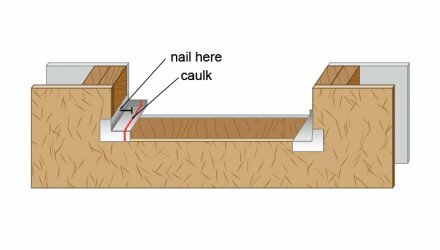 Lay the ends tightly against the sides of rough opening, either nailing through the side with roofing nails or gluing with adhesive caulk. 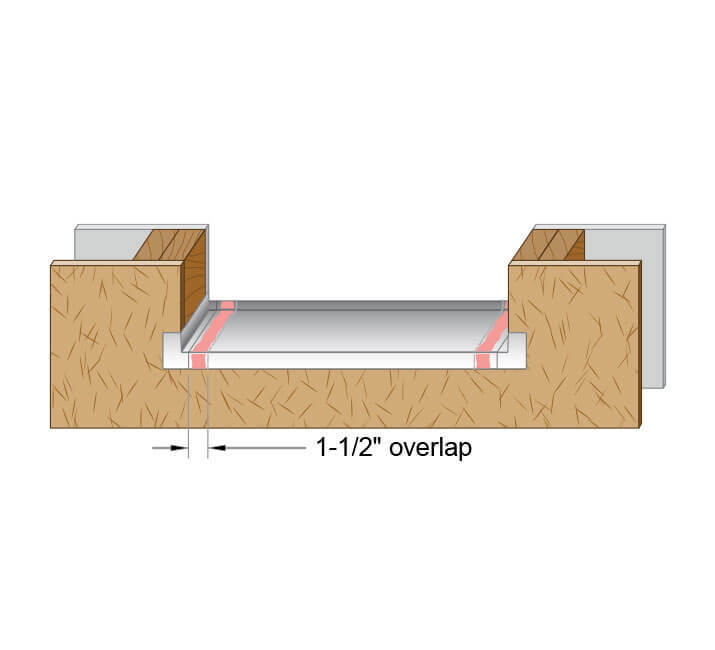 Check center section for proper length, if necessary cut with snips or hack saw to overlap end sections at least 1-1/2 inches. 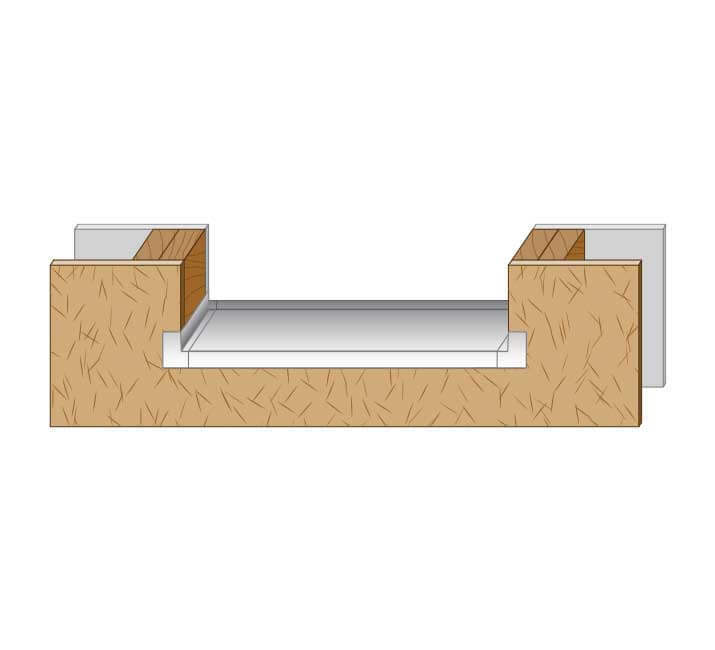 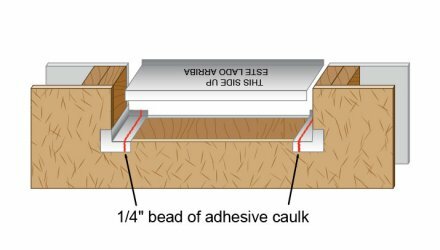 Apply a 1/4 inch bead of adhesive caulk (provided) to the end pieces such that the center section lays over the caulk when installed with printed side facing up. 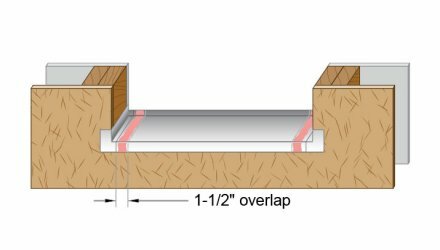 Press firmly so that the caulk is spread evenly between the end pieces and the center section. 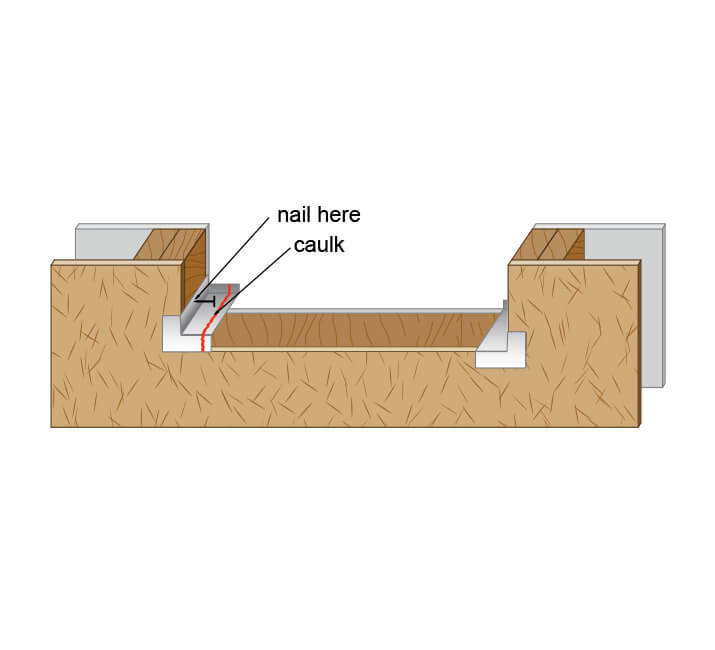 Visually inspect the caulk joint to insure a good seal. 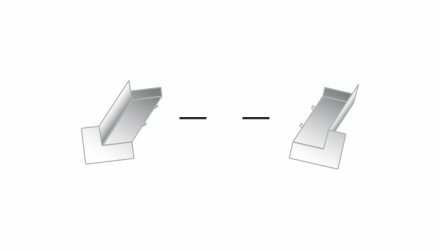 Install window or door in standard manner. 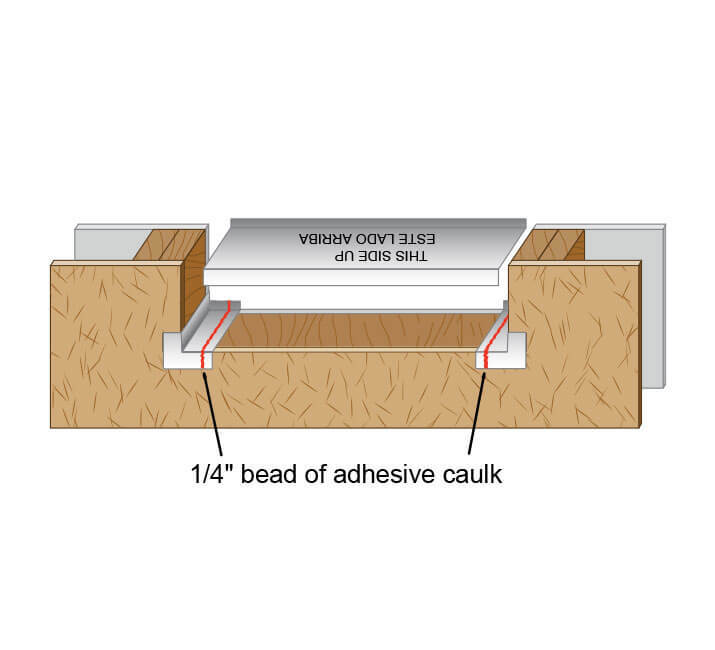 *Boxes with 24 sets include 3 tubes of adhesive caulk, boxes with 12 sets include 2 tubes.